Mark graduated in 1980 with a BA (Hons) in Fine Art. After completing his post graduate he spent a few years teaching then worked for the BBC as a scenic artist and as a set designer in the theatre. 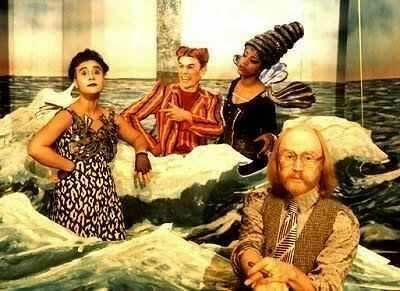 He designed sets for Vivian Stanshall’s (leader of the Bonzo Dog Doo Da Band) Comic Operas. Vivian encouraged and helped Mark to exhibit his work in Galleries. Between 1985 and 1995 Mark exhibited his etchings and paintings all over the world. His work is held in national and international collections and his wildlife etchings have been acquired by luminaries such as Virginia McKenna, Margaret Thatcher, Nigel Mansell and Patty Clapton. In 1995 Mark began a series of artistic experiments using computers and within a few months was working with Future Publishing making cover illustrations and writing articles for their various computer magazines. It was during this year that Mark became fascinated with the potential of the World Wide Web, which at the time was just getting under way. He had a monthly magazine column on the subject and taught himself how to program in HTML (the language for websites) and by the end of 1995 was offered the job of Art Director for an American Dot Com company. During the Dot Com boom of the 90’s Mark joined a small band of Brits who worked in the USA developing the World Wide Web. By 2000 Mark was Global Art Director for an international Dot Com company developing software for Warner Brothers, Lucas Arts and all the major printer companies. After ten years in the industry travelling the world, Mark returned to his own work and interests. He founded Eyelid Productions, which specialises in Computer Generated Illustration, mobile app development for iPhone and iPad as well as R&D for IT start ups. Ancient Egyptian temples and pyramids meticulously researched and reconstructed in 3D showing them in all their grandeur. In recent years Mark has designed and illustrated for companies and museums around the world, written and illustrated two books ‘Imagining Egypt’ (Black Dog & Leventhal Publishers) and ‘Ancient Egyptian Anecdotes’, illustrated Peter Ackroyd’s ‘Kingdom of the Dead’ and ‘Egyptorium’ (Dorling Kindersley), ‘EgyptWorld’ (Carlton Publishing). 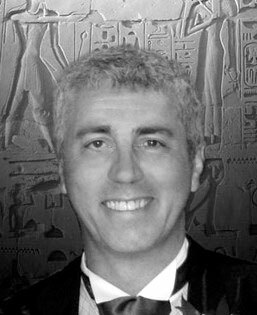 Mark’s illustrations of ancient Egyptian temples and pyramids are meticulously researched and reconstructed in 3D showing them in all their grandeur. He has just finished a book on the Vikings.